Unbelievable Deal! Please contact us for full details. 1Please contact us for full details. Onboard Communications System, Satellite Radio, WiFi Hotspot, Smart Device Integration, Alloy Wheels, POWER CONVENIENCE PACKAGE CLICK ME!KEY FEATURES INCLUDESatellite Radio, Onboard Communications System, Smart Device Integration, WiFi Hotspot Keyless Entry, Remote Trunk Release, Steering Wheel Controls, Alarm, Electronic Stability Control. OPTION PACKAGESPOWER CONVENIENCE PACKAGE includes (BTV) remote vehicle starter system, (APG) driver power lumbar, (AG1) 8-way power driver seat, (DD8) auto-dimming inside rearview mirror, (UVC) Rear Vision Camera, (UG1) Universal Home Remote, (AP9) cargo convenience net, (B83) body-color bodyside molding, (RA9) P225/55R17, all-season blackwall tires and (R28) 17" 5-spoke painted aluminum wheels, AUDIO SYSTEM, AM/FM STEREO WITH CD PLAYER AND MP3 PLAYBACK Radio Data System (RDS) and auxiliary input jack (Includes (UDY) 7" diagonal color touch-screen display.) (STD), ENGINE, ECOTEC 2.5L DOHC 4-CYLINDER DI with Variable Valve Timing (VVT) and intake Variable Valve Lift (iVVL) and NEW auto stop/start (196 hp [146.2 kW] @ 6300 rpm, 191 lb-ft of torque [257.9 N-m] 4400 rpm) (STD), TRANSMISSION, 6-SPEED AUTOMATIC, ELECTRONICALLY-CONTROLLED with overdrive (STD). Chevrolet LT with ASHEN GRAY METALLIC exterior and JET BLACK interior features a 4 Cylinder Engine with 196 HP at 6300 RPM*. EXPERTS CONCLUDEGreat Gas Mileage: 36 MPG Hwy. OUR OFFERINGSNorth Park Volkswagen of Dominion is located at 21315 West Interstate 10, just east of Friedrich Park. Volkswagen is widely recognized for quality, reliability, value, and an award-winning commitment to customer satisfaction. Our state of the art dealership has the largest VW inventory in Central Texas. Visit us at www.northparkvw.com to schedule an appointment with one of our VW Experts. Please confirm the accuracy of the included equipment by calling us prior to purchase. CARFAX 1-Owner. Nav System, Heated Leather Seats, Bed Liner, Hitch, CD Player, 4x4, Onboard Communications System, Satellite Radio READ MORE!KEY FEATURES INCLUDE4x4, Back-Up Camera, Satellite Radio, CD Player, Onboard Communications System, Trailer Hitch, Remote Engine Start, Dual Zone A/C, WiFi Hotspot Privacy Glass, Keyless Entry, Steering Wheel Controls, Heated Mirrors, Alarm. OPTION PACKAGESREDLINE EDITION includes Sport Assist Steps, (P3H) front and rear Black Bow Ties, (CGN) spray-on bedliner, Black belt moldings, (DP6) Black painted mirror caps, (D75) Black door handles, Black grille, Black headlamp trim, (NZR) 20" x 9" Black-painted aluminum wheels with Red accents, Black center cap with Silver outline and Silver Bow Tie, (RC7) P275/55R20 all-terrain, blackwall tires, (CG6) door and tailgate Black emblems with Red outline and (ULK) Red Recovery Hooks, LPO, LTZ PLUS PACKAGE includes (JF4) power adjustable pedals, (UQA) Bose premium audio system, (UD5) Front and Rear Park Assist and (UVD) heated leather steering wheel, SEATING, HEATED AND VENTED PERFORATED LEATHER-APPOINTED FRONT BUCKET, SEATS, FRONT FULL-FEATURE LEATHER-APPOINTED BUCKET WITH (KA1) HEATED SEAT CUSHIONS AND SEAT BACKS includes 10-way power driver and front passenger seat adjusters, including 2-way power lumbar control, 2-position driver memory, adjustable head restraints, (D07) floor console, storage pockets and (K4C) Wireless charging. AUDIO SYSTEM, CHEVROLET MYLINK RADIO WITH NAVIGATION AND 8" DIAGONAL COLOR TOUCH-SCREEN, AM/FM STEREO with seek-and-scan and digital clock, includes Bluetooth streaming audio for music and select phones; USB ports; auxiliary jack; voice-activated technology for radio and phone; and Shop with the ability to browse, select and install apps to your vehicle. Apps include Pandora, iHeartRadio, The Weather Channel and more. ENGINE, 5.3L ECOTEC3 V8 WITH ACTIVE FUEL MANAGEMENT Please confirm the accuracy of the included equipment by calling us prior to purchase. CARFAX 1-Owner, GREAT MILES 30,174! Aluminum Wheels, Satellite Radio, Onboard Communications System, ENGINE, 3.6L SIDI DOHC V6 VVT AND MORE!KEY FEATURES INCLUDESatellite Radio, Onboard Communications System, Aluminum Wheels Remote Trunk Release, Keyless Entry, Steering Wheel Controls, Electronic Stability Control, Bucket Seats. OPTION PACKAGESAUDIO SYSTEM, AM/FM STEREO WITH CD PLAYER MP3 playback capability, music navigator, Graphic Information Display (GID) and auxiliary input jack, includes outside temperature display (STD), TRANSMISSION, 6-SPEED AUTOMATIC includes TAPshift manual shift controls on steering wheel (STD), ENGINE, 3.6L SIDI DOHC V6 VVT (323 hp [240.8 kW] @ 6800 rpm, 278 lb-ft of torque [375.3 N-m] @ 4800 rpm) (STD). 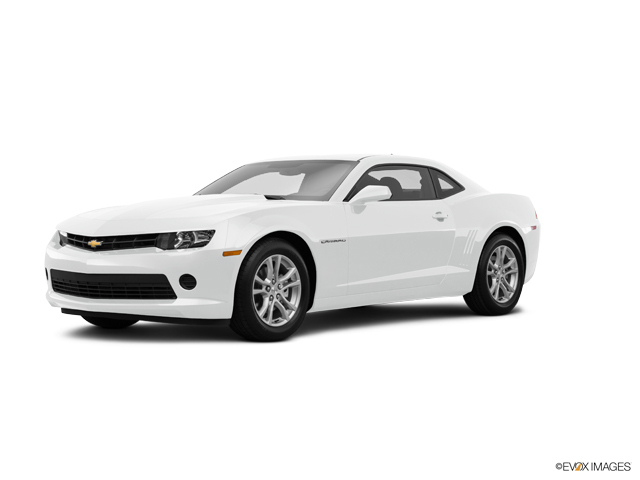 Chevrolet LS with Summit White exterior and Black interior features a V6 Cylinder Engine with 323 HP at 6800 RPM*. EXPERTS RAVEEdmunds.com explains "Strong acceleration with any engine; head-turning looks; capable handling.". Great Gas Mileage: 30 MPG Hwy. SHOP WITH CONFIDENCECARFAX 1-Owner OUR OFFERINGSNorth Park Volkswagen of Dominion is located at 21315 West Interstate 10, just east of Friedrich Park. Volkswagen is widely recognized for quality, reliability, value, and an award-winning commitment to customer satisfaction. Our state of the art dealership has the largest VW inventory in Central Texas. Visit us at www.northparkvw.com to schedule an appointment with one of our VW Experts. Please confirm the accuracy of the included equipment by calling us prior to purchase. Heated Leather Seats, 4x4, Alloy Wheels, Tow Hitch, Back-Up Camera, Remote Engine Start, Onboard Communications System, CD Player AND MORE!KEY FEATURES INCLUDE4x4, Back-Up Camera, CD Player, Onboard Communications System, Trailer Hitch, Aluminum Wheels, Remote Engine Start, Dual Zone A/C Privacy Glass, Keyless Entry, Steering Wheel Controls, Heated Mirrors, Electronic Stability Control. OPTION PACKAGESCUSTOM SPORT, 1LZ TRIM includes chrome mirror caps, chrome door handles and 20" wheels (Includes (RD2) 20" x 9" chrome wheels and (UQA) Bose Sound speakers. LTZ PLUS PACKAGE includes (JF4) power adjustable pedals, (UQA) Bose premium audio system, (UD5) Front and Rear Park Assist and (UVD) heated leather steering wheel, SEATING, HEATED AND COOLED PERFORATED LEATHER-APPOINTED FRONT BUCKET, SEATS, FRONT FULL-FEATURE LEATHER-APPOINTED BUCKET WITH (KA1) HEATED SEAT CUSHIONS AND SEAT BACKS includes 10-way power driver and front passenger seat adjusters, including 2-way power lumbar control, 2-position driver memory, adjustable head restraints, (D07) floor console and storage pockets, ENGINE, 5.3L FLEXFUEL ECOTEC3 V8 WITH ACTIVE FUEL MANAGEMENT, DIRECT INJECTION AND VARIABLE VALVE TIMING includes aluminum block construction with Flex Fuel capability, capable of running on unleaded or up to 85% ethanol (355 hp [265 kW] @ 5600 rpm, 383 lb-ft of torque [518 Nm] @ 4100 rpm; more than 300 lb-ft of torque from 2000 to 5600 rpm) (STD), CHEVROLET MYLINK AUDIO SYSTEM, 8" DIAGONAL COLOR TOUCH WITH AM/FM/SIRIUSXM/HD, USB PORTS auxiliary jack, SD card slot, Bluetooth streaming audio for music and most phones, hands-free Smartphone integration, Pandora Internet radio, voice-activated technology for radio and phone, and 4 customizable themes (STD), TRANSMISSION, 6-SPEED AUTOMATIC MORE ABOUT USNorth Park Volkswagen of Dominion is located at 21315 West Interstate 10 Please confirm the accuracy of the included equipment by calling us prior to purchase. If you're in the market for a new or new-to-you car, it's time to visit North Park Volkswagen in San Antonio, TX. With impressive inventories of new, used and certified pre-owned Volkswagen vehicles, there's something for everyone on our lot. Visit our Volkswagen dealership near Boerne, TX, to find the used Used Chevrolet Suburban vehicle of your dreams! Whether you want a zippy little sedan like the Volkswagen Jetta or are more interested in an SUV like the VW Tiguan, our helpful and friendly sales staff will work with you to narrow down your options and select a vehicle that hits every point on your checklist. Don't hesitate to reach out at any time to learn more about the used Used Chevrolet Suburban vehicles we have for sale here in San Antonio, or the specials we're currently offering.